Check your saddle’s fit regularly for your horse’s comfort and performance with these 7 simple steps. It was Jochen Schleese’s questioning nature that led him to become a master saddler and saddle ergonomist. * Following the 1982 German Eventing Championships, in which he competed, he noticed that his horse Pirat showed persistent lameness. Diagnostic tools at the time were not as advanced as they are today and no one could provide him answers to why his mount was frequently off. Looking back, Schleese believes an ill-fitting saddle was to blame for many of the problems. This event, combined with countless conversations with riders – especially female – who complained their saddles were a source of pain, pushed him to pursue developing techniques to procure a perfect saddle fit for both horse and rider. The average rider isn’t lucky enough to possess Schleese’s extensive knowledge of horse and human anatomy – developed from over 35 years of investigating how it interacts with tack. The average rider also doesn’t have Schleese’s tools, including thermographic imaging, wither gauges and laser devices that provide three dimensional images of a horse’s back. But armed with a piece of chalk, a pen and a set of keen eyes, Schleese says the average rider can make a rudimentary assessment of the current fit of their English or western saddle. And this is the first step towards ensuring a pain-free ride. Schleese said the first step is to identify the “saddle support area” of a horse’s back. This is the strongest area of the back, where the saddle can lie so that it does not interfere with the horse’s movement. To identify it, draw a line down from the withers to where the shoulder blade ends. From there, locate the last floating rib (the 18th lumbar vertebra). It is just above the area of the flank where the horse’s hair splits direction. Draw another line down at this point. Behind this line is where the bucking reflex lies. A saddle that sits past this line can cause health as well as behavioural problems. Next, feel horizontally along the back for the longissimus muscle (the longest back muscle of the horse) and where it inserts into the ribs. Draw a horizontal line between the shoulder blade and 18th vertebra line. This rectangular area is the saddle support area. It is also important to identify the no contact zone at the withers. To do so, draw a line at the shoulder blade, about four inches down from the withers, then draw a horizontal line away from the shoulder. This ‘L’ shaped area is the area where the saddle should not make contact. Several muscles (trapezius and rhomboid) and ligaments (nuchal and dorsal) insert in this area and it is a hotbed for nerves. 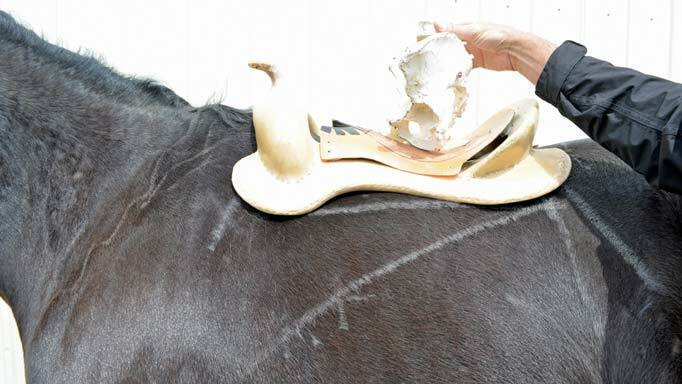 It is one of the most sensitive areas of a horse’s back. The saddle should not make contact with the horse in front of this area, at the shoulder, either. When checking the fit, it’s best to do it without a saddle pad to get a clear picture of how the saddle sits on the horse’s back. The first thing to consider when you place the saddle on the horse’s back is that it is not resting in the no contact zone at the withers. There should be two to three fingers’ space all around the withers (not just at the top, at the sides as well). Place a pen in this area to check for space and that the saddle is not making contact with this sensitive area. The gullet channel of the saddle (the bottom space of the saddle between the two panels) should also be large and wide – three to four fingers width from front to back. Flip the saddle over and use your hand to measure this width. Take two pens (or riding crops, or other straight objects) to check that the gullet plate (the arch under the pommel) is wide enough for the shoulder muscle and parallel to the shoulder blade. Place the first pen at the shoulder blade and the second along the front piping. If the pens are parallel, the shoulder should easily slide under the panel during movement. If they are not parallel, the saddle could interfere with the shoulder rotation during movement. Often, horses have imbalanced muscling from one shoulder to the other and the gullet plate should reflect this. There are several options now that account for this and the changing musculature of a maturing horse. When buying, check to see if the gullet plate and tree are adjustable to allow for these changes. The saddle should fit within the support area, behind the no contact zone of the withers and before the 18th lumbar vertebra. This is where the M. Longissimus dorsi muscle runs – the longest muscle of the horse’s back. Some western ones may extend beyond the point of the 18th lumbar vertebra, but no real weight should be carried here. Remember the bucking reflex and the behavioural issues it can cause! Mark a line to indicate the horse’s spine. The gullet channel should sit flush with this line (see photo 5a). (You can climb up on a stool to view this line from above.) This will also give a good indication of how the saddle fits to the shoulder. The majority of horses are asymmetrical in their shoulder muscling and so a gullet plate should be made to account for this imbalance. Evidence that the saddle is not fitted to the shoulders will come by way of the saddle slipping left or right from this line on the spine during riding – it usually it twists right. The main function of the girth or cinch and billets is to keep the saddle in place in the saddle support area. It is basic physics that the girth will slide to the narrowest area of the horse’s thoracic area, which is the narrowest point behind the elbow. If it is too far forward or back, it will cause discomfort. 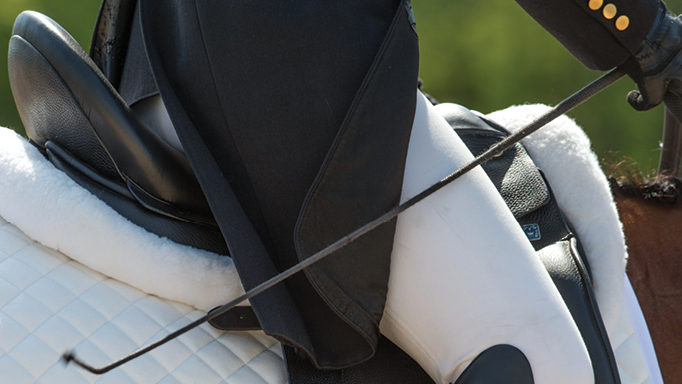 To prevent the saddle from sliding forward into the shoulder area, the rider should check that the billets are hanging straight down from the horse’s back towards this area. 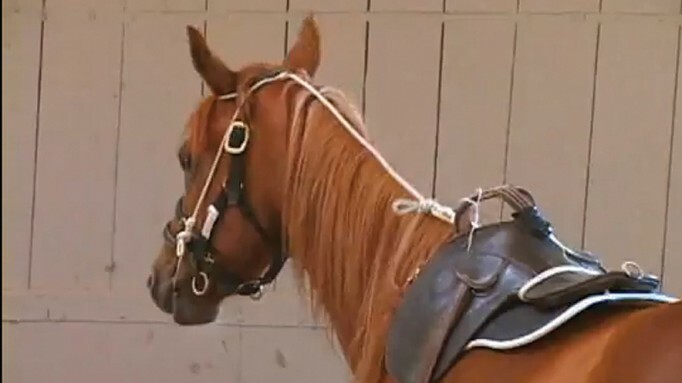 If they are hanging too far back and need to be pulled forward, they will cause the saddle to slide forward onto the horse’s shoulder during movement. This forward shift of the saddle onto the shoulder can cause serious cartilage damage as the points of the saddle tree will shift directly over the insertion of the shoulder blade. For dressage saddles, make sure the girth buckles do not interfere with the horse’s movement. You can lift your horse’s leg and move it back and forth to check that the buckles do not pinch the pectoralis muscle. Lift the sweat flap or fender to check that the horizontal panel lies flat to the horse’s back. You can run your hand or a pen underneath to check this. You should be able to see no light through the middle or at either end, which would indicate the saddle is not lying flat and is prone to rocking and shifting. 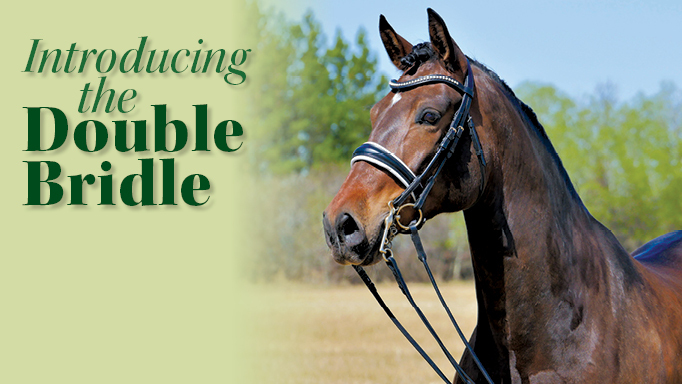 Is your horse ready for a double bridle? Innovative inventions for specific situations - and their many and varied claims. 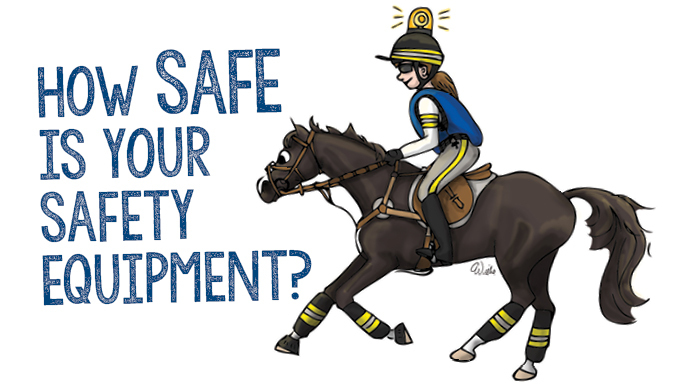 How Safe is Your Safety Equipment?